Vi.sualize.us is a social bookmarking service specifically designed for bookmarking images. Vi.sualize.us provides an easy-to-use add-on for Firefox that allows you to quickly bookmark images. Selecting “Remember on VisualizeUs” prompts you to click on the image you’re interested in and displays a small screen asking you to tag your image. Take some time to think about tags because this will help you find your images at a later time. Artist information and the originating links are retained so you can readily go back to the site where you found the image. 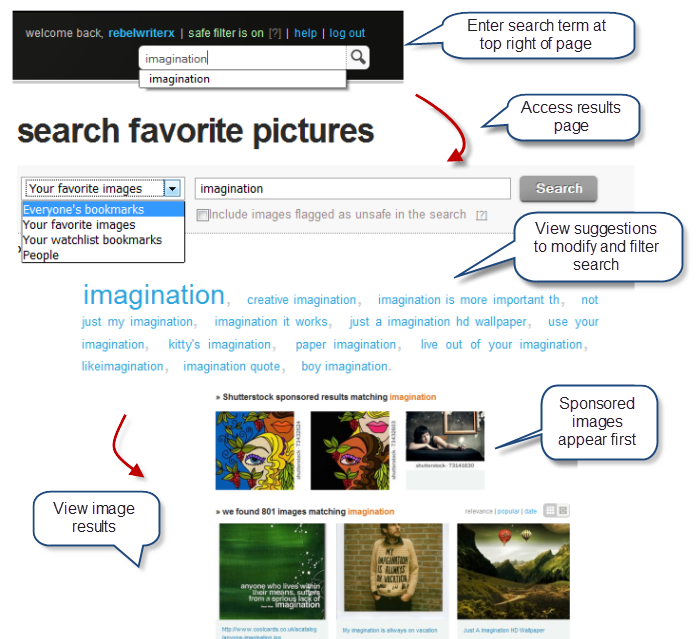 You can view your bookmarked images by clicking “Your VisualizeUs.” This displays your images and provides access to a number of search and editing options. Select an image to delete, edit tags, or change privacy options. You also can search Vi.sualize.us to find additional interesting images. You can find more information about using Vi.sualiz,us on the FAQ page. To view my nascent bookmark list click here. In this age of the digital information flood, text content is not the only type of media you may want to keep track of and filter in your personal knowledge management system. 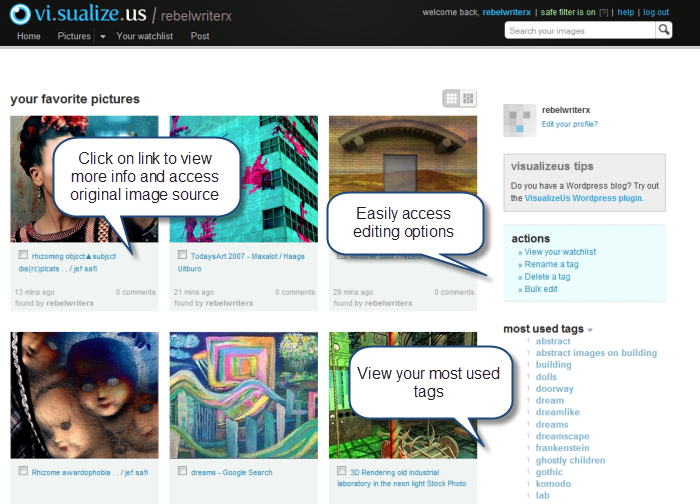 Vi.sualize.us allows you to bookmark, tag, and filter images, whether as a source of inspiration or for potential inclusion in other works at some other point in time (remember to respect the license rights of the artists whose works you’ve bookmarked if that’s the case). 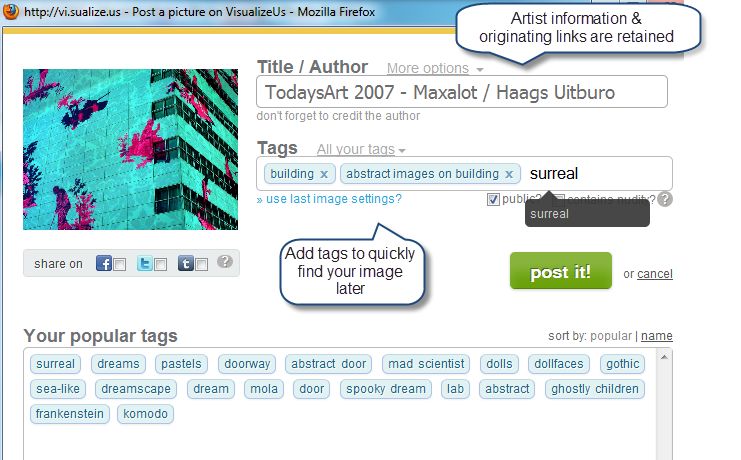 Vi.sualize.us also allows you to keep track of your own works, particularly if you are posting to multiple photosharing sites.